Welcome to French Touch: Voyage Dans Le Paysage Électronique Français. Noise of Art and Red Gallery, London, have joined forces to present the first exhibition of photographs, film and artwork documenting the story of French electronic music from the start of the 20th century to the present day, followed by a series of music, film and panel events on the weekends of 17, 24 and 31 March and a closing party on 7 April. 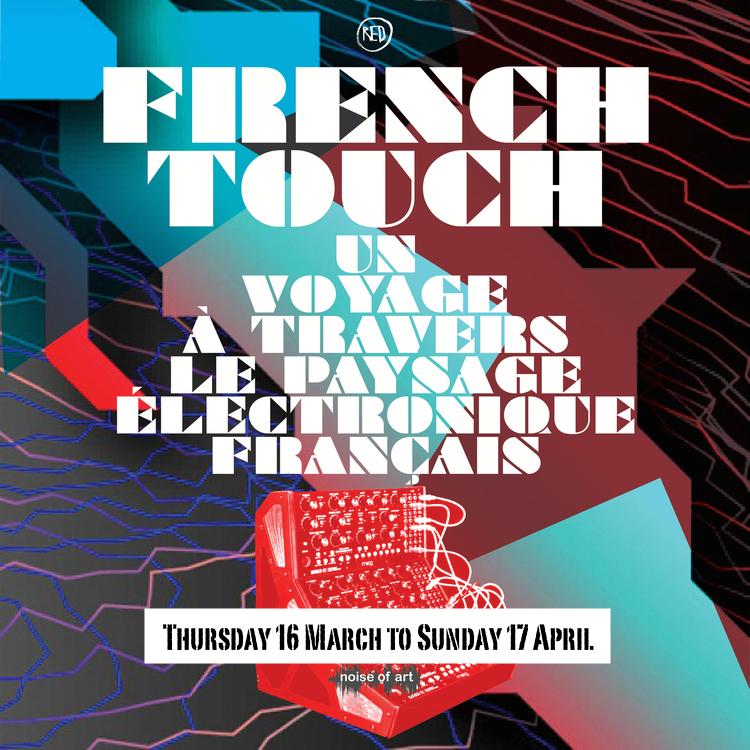 French Touch features contributions from members of the public, as well as DJs, artists, photographers and key figures in the story of French electronic music – including Laurent Garnier, Jack de Marseille, Black Devil Disco Club, I:Cube, Gilb’r, Antinote Records, Jayhem (Kojak), Chateau Perché, Pierre Henry, Jean-Jaques Perrey, Jean Jacques Birgé , Jean Michel Jarre and more. Professional photographers contributing include Jean-Luc Bouchart, Olivier Degorce and Edouard Hartigan. I’ll be dj’ing at The Red Gallery and playing disco, soul, boogie and little bit of fine, french filtered house to support this exhibition on Wednesday March 28th. Veuillez me retrouver la, je vous attends.